After receiving several questions regarding information about “tinting fabric with crayon”, maybe it best to separate the technique and showcase some resources here in it’s own post. 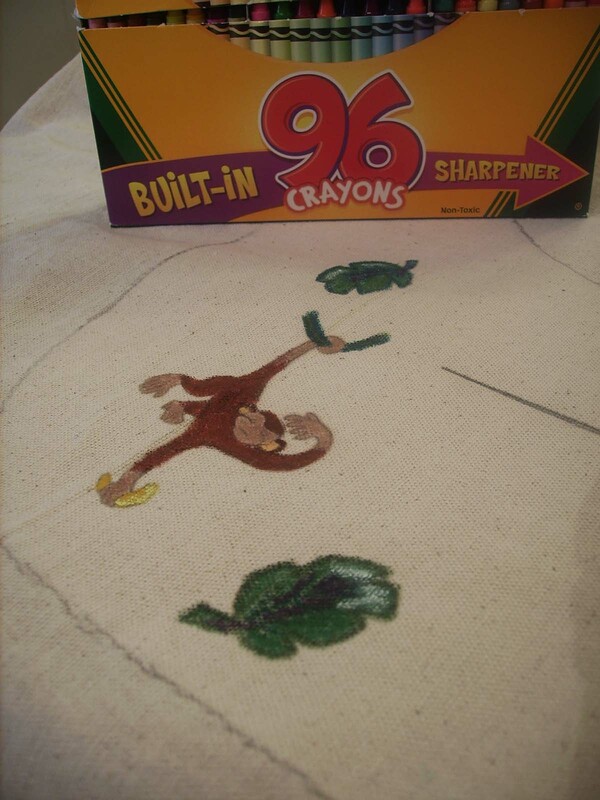 I first learned about tinting fabric with crayon over at http://www.Craftster.org. There are people there discussing the durability of the crayon and the fabric. They are also chatting about the overall technique. 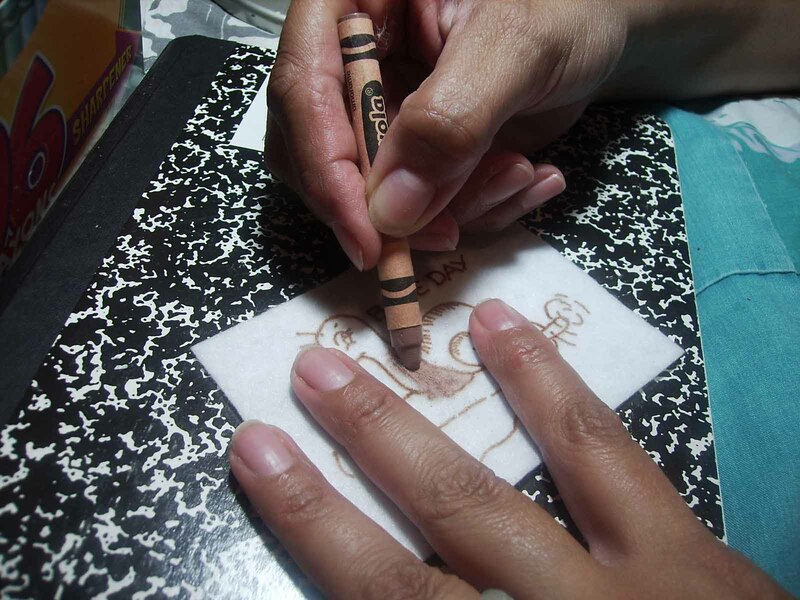 My one exclusive tutorial that I always credit is Tracey’s tinting with crayon tutorial found at Giggleface Studios. I link to her because I use “her” ironing method for all my tinting with crayon. Here are resources that I have used to learn to tint fabric with crayon. There are only two. 1. Please look at the right hand column of this blog. 2. Locate the “Categories Cloud”, the “Categories” drop down menu and the “Search” option there in the right hand column . 3. Click on “Tint with Crayon” in the ‘Categories Cloud’, Find “Tint with Crayon” in the ‘Categories’ drop down menu, or type “Tint with Crayon” into the search option and click “Find” there in the right hand column. 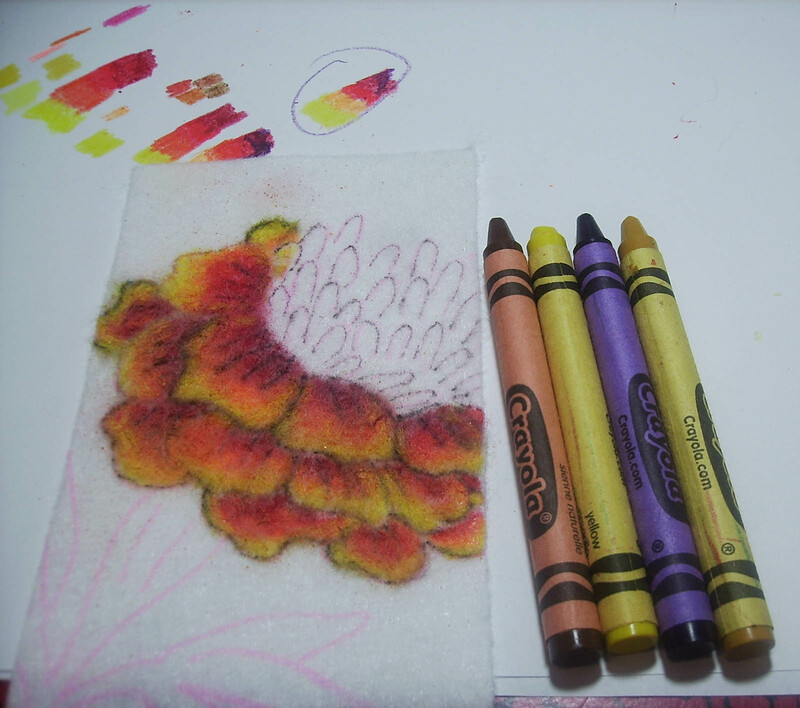 I realized when starting my ‘snail’ coloring, that I hold the fabric while I color with the color crayon. 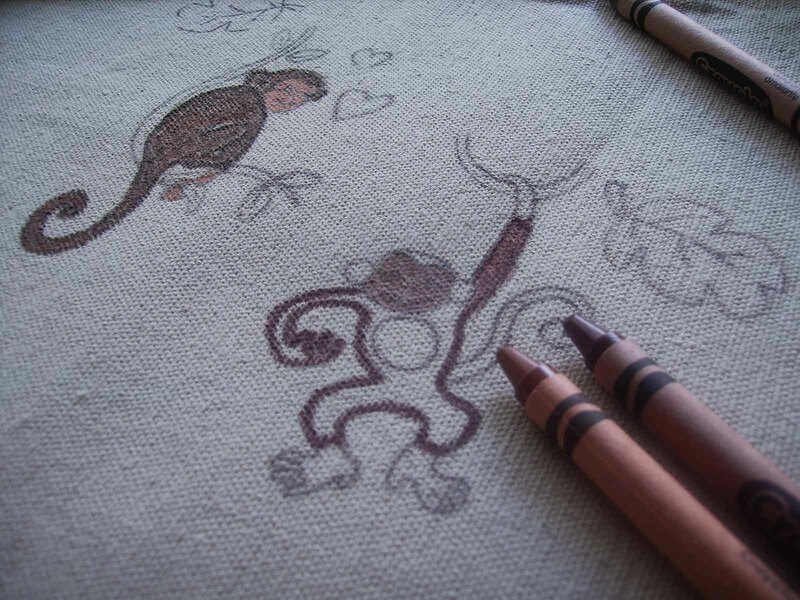 Here you can see that my one hand holds the fabric taut while I use the other hand to direct the crayon. 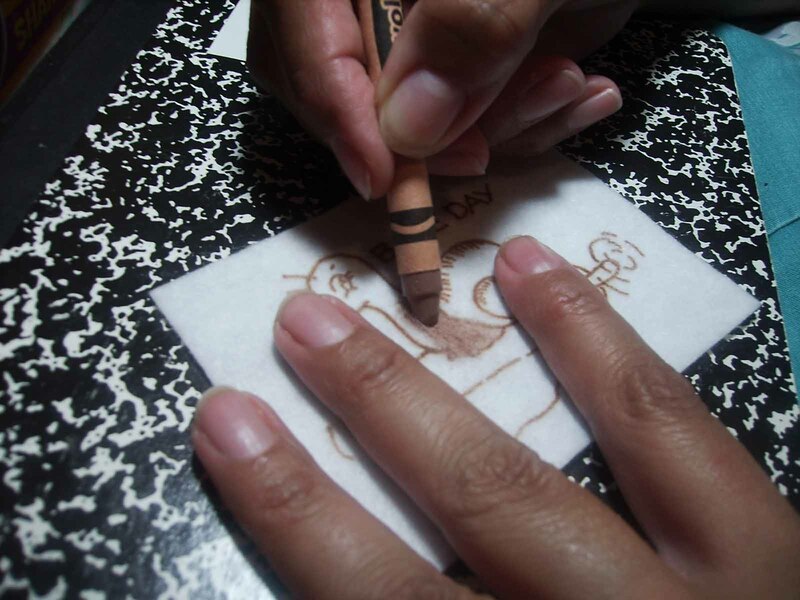 I touch the crayon down to the fabric and make quick “check mark” like strokes. I DO NOT rub the crayon back and forth. 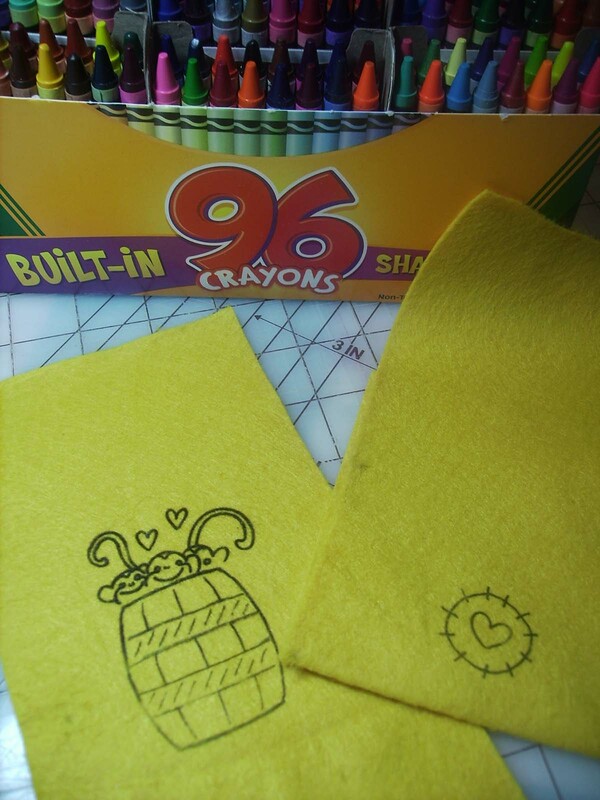 I color in ONE DIRECTION and use QUICK SHORT STROKES to get the crayon to stay on the fabric. 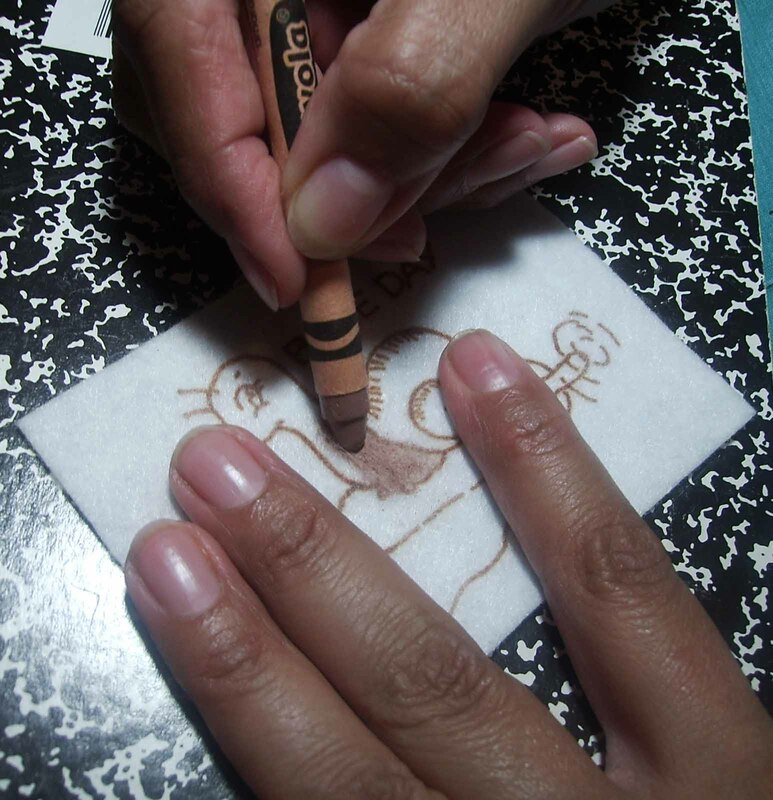 If the felt ‘fluffs up’ I just mash it back with short quick strokes of the crayon until it is heavily coated with waxy colored crayon and sticks to itself in a shiny sheen. The ironed on details DO get distorted. I don’t worry about it. I know that I can go back and re-iron the transfer back in the exact place after this process is over. 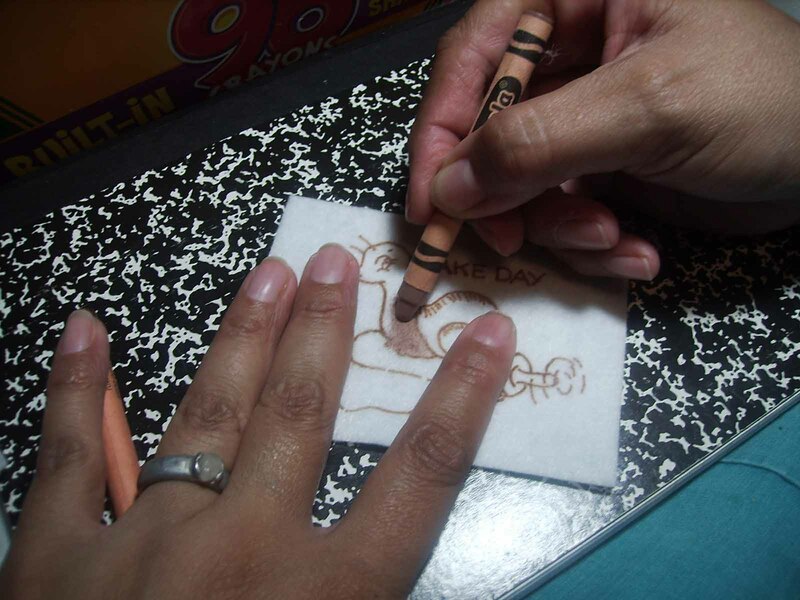 I usually finish the tinting with crayon technique, then return with the SAME transfer, position it in place again, and lightly re-iron the transfer over the top of the crayon to gain back some details. Most transfers are good for 3-5 prints. Ooo,what a great tutorial. I’ll be using this one! Thank you for sharing your knowledge! There’s something waiting for you at my blog.